It's winter and you are above the tree line with everything you need to survive stashed in your backpack. And you're wearing your Mens Aquila Jacket jacket. The shoulders and chest are reinforced with lightweight Stormlock fabric. This fabric is water resistant and protects you from the cold wind. The Mens Aquila Jacket can be worn under your hardshell to keep you warm when you're trekking and is equally reliable as an everyday jacket. 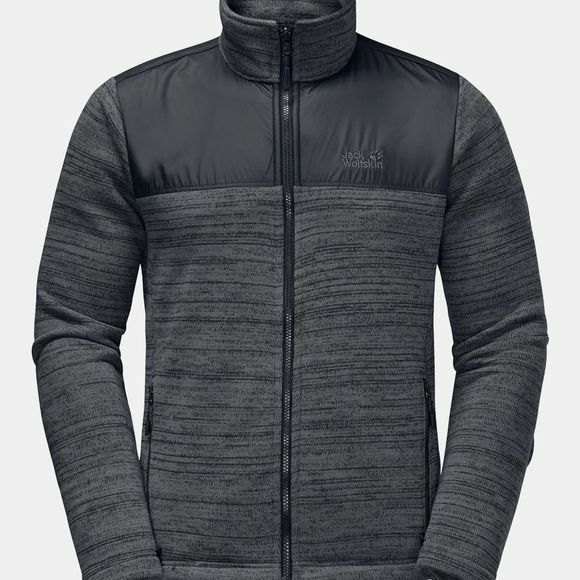 The jacket has an athletic cut and is made of warm Nanuk fleece with a special marled appearance. Fleece has never looked as natural as this.